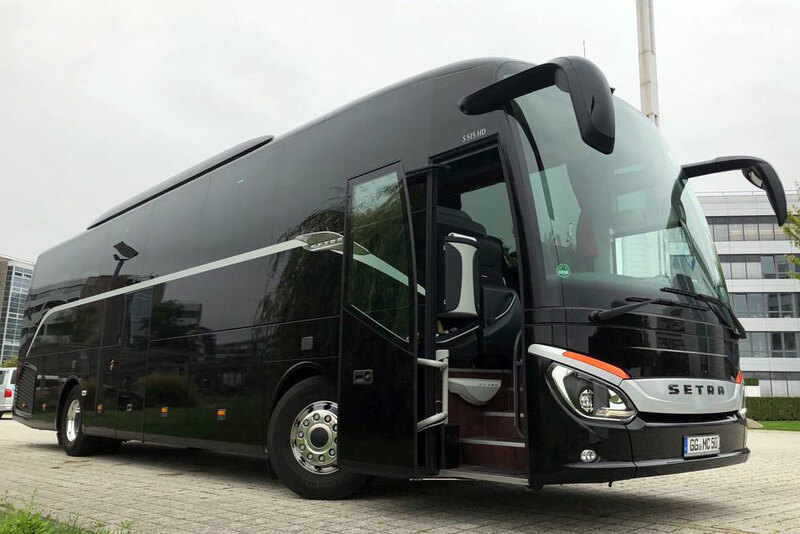 The ideal bus for sophisticated tours. 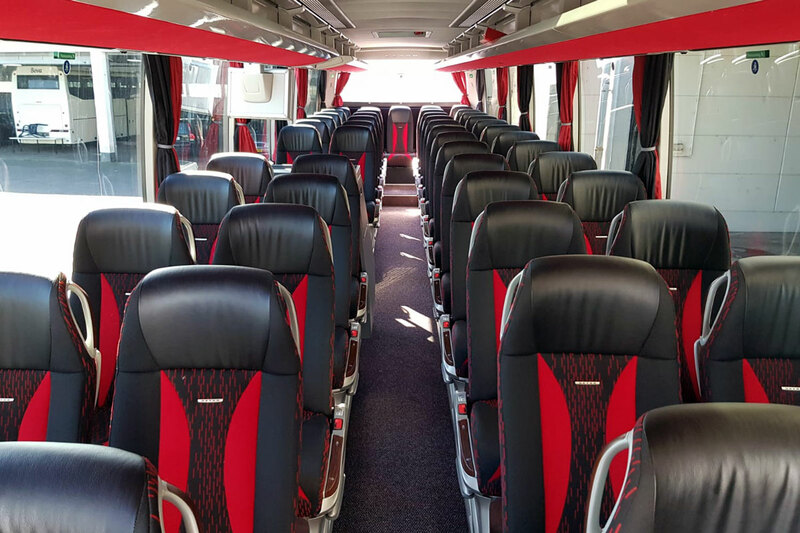 We notched up the comfortable seat spacing: get some seats out to bring in more comfort was the name of the game. 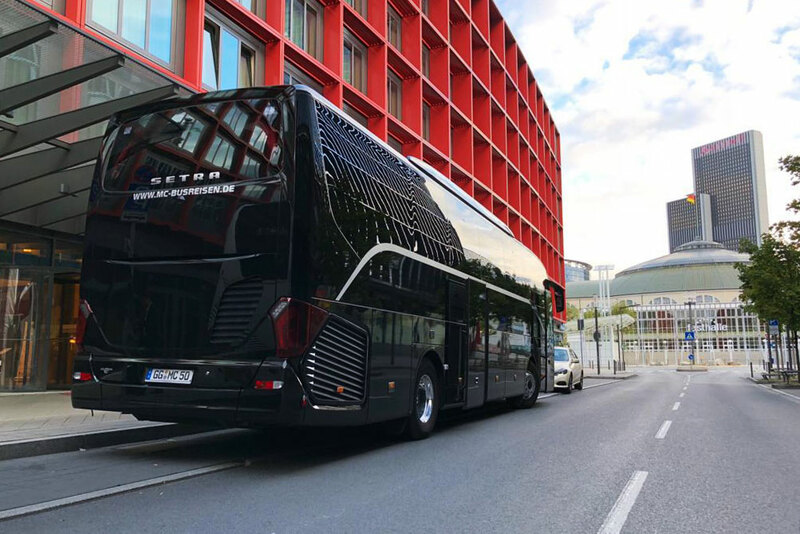 The highly comfortable long distance coach S515 HD by SETRA is currently the top model of the brand Kässbohrer. 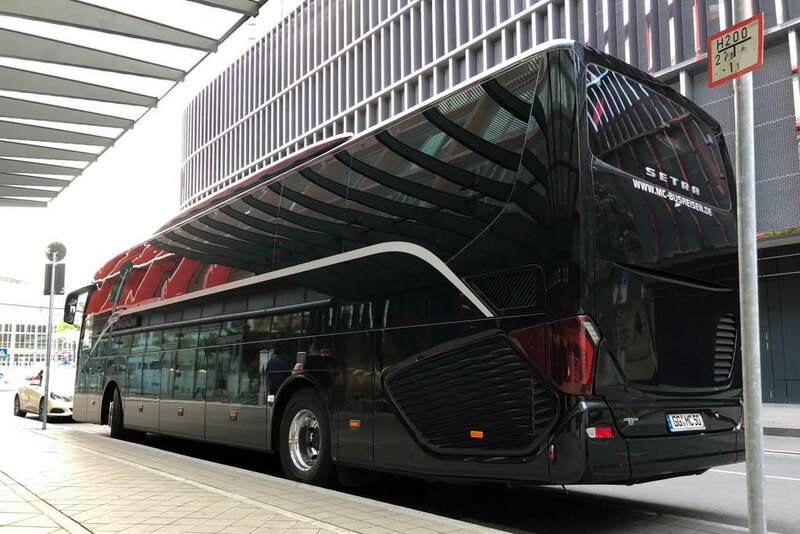 It meets the highest possible safety standards with all the trimmings like vehicle distance speed regulator, electronic stability program (ESP), traction control (ASR), brake assistant (BAS), Water Retarder (SWR), and many more. 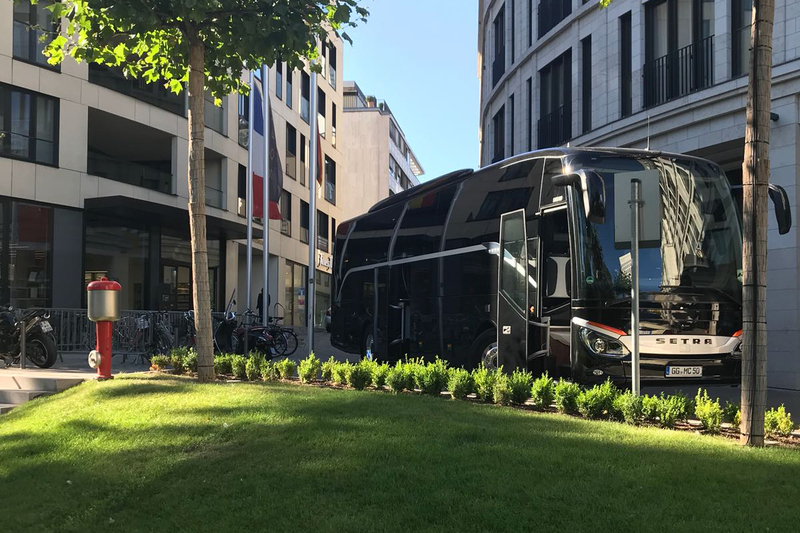 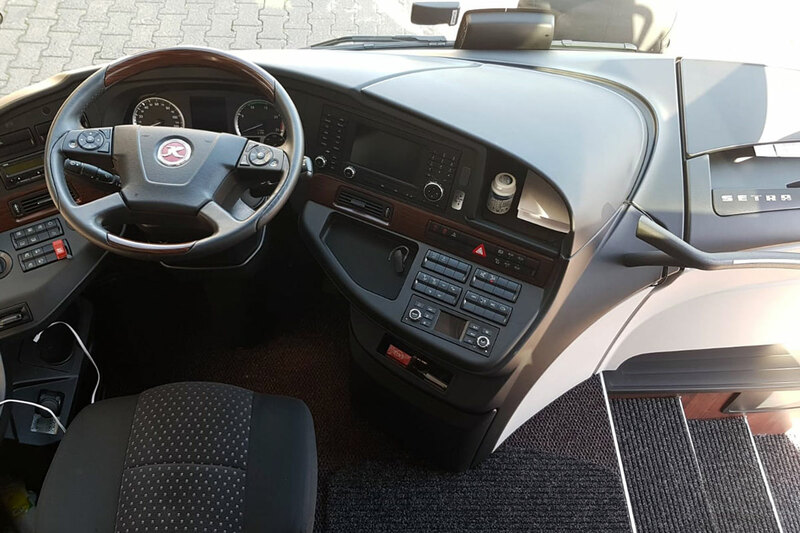 The accommodation during our tours already starts at the broad entrance and the newly developed SETRA seats plus the extra large seat pitch ensure the highest possible comfort. 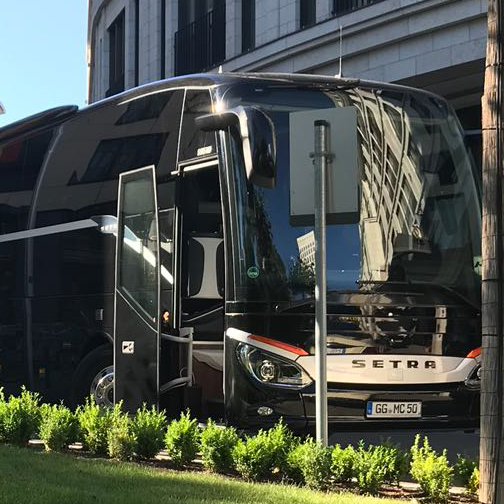 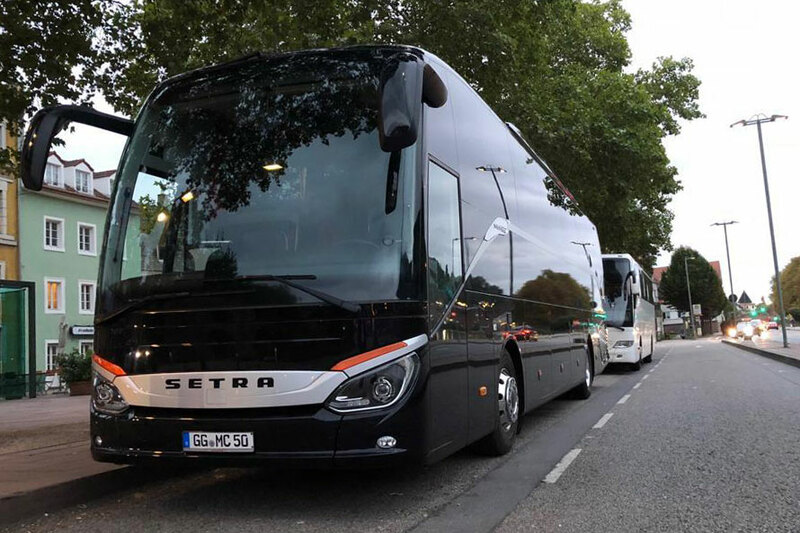 SETRA and „vacation happiness“ – a good combination.